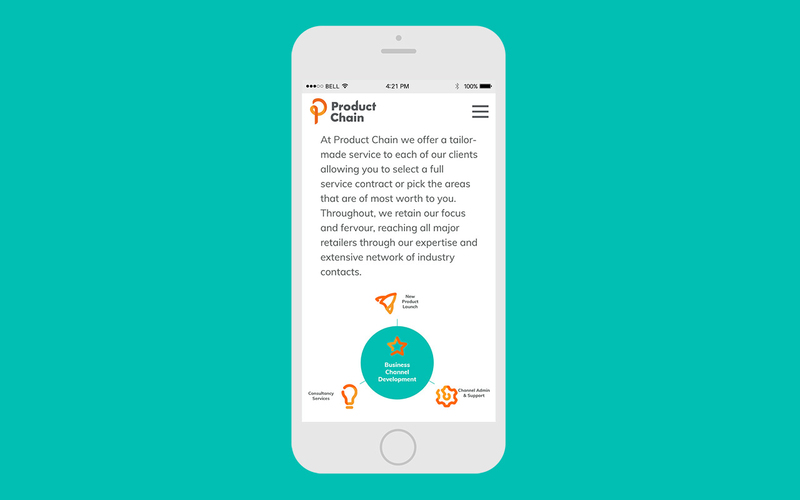 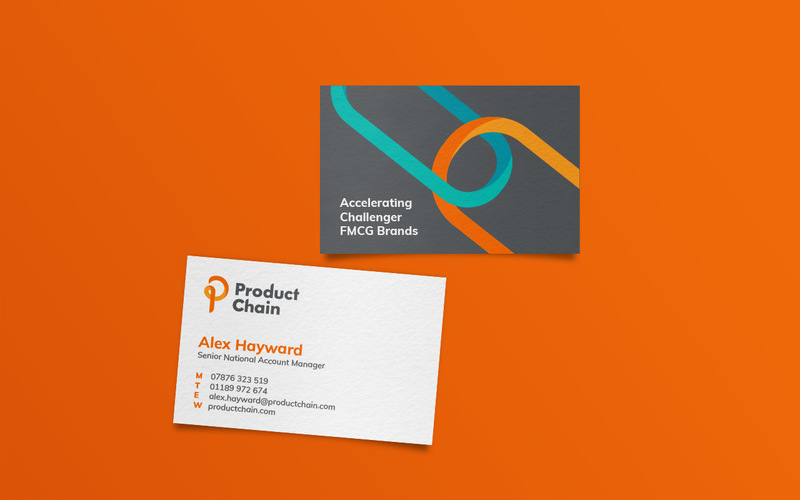 UK FMCG sales agency Product Chain required a refresh of their brand identity to increase brand awareness and position them as experts in their field. 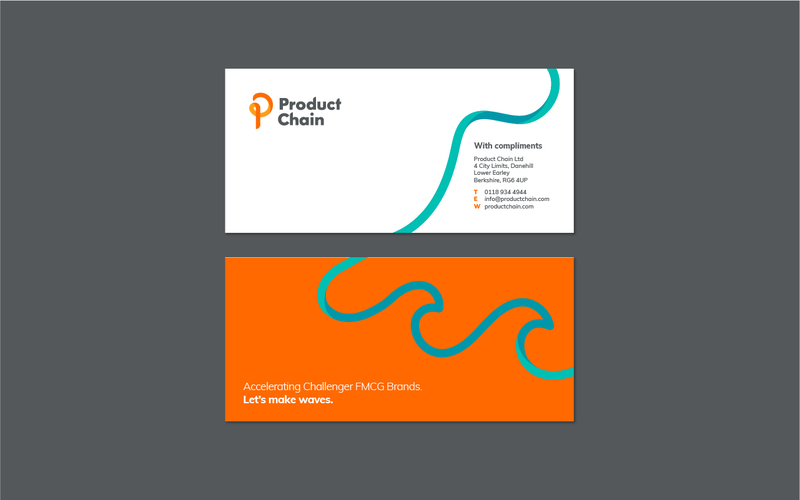 Through workshops and strategic development, we created a new brand identity. 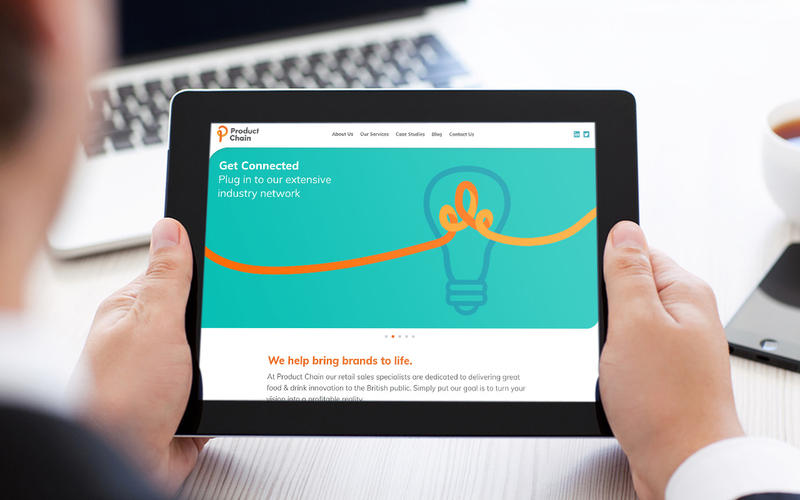 We focused on developing a visual language that provided flexibility across both print and digital collateral, introducing icons and graphics that created consistency across all brand touchpoints. 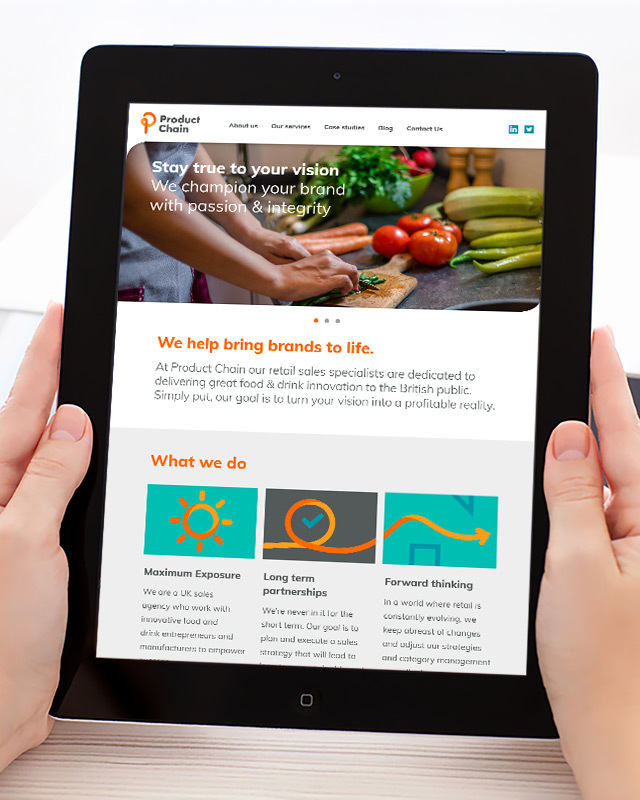 The new website and visual identity have bolstered Product Chain above its competitors, helping them reach more FMCG brands and consequently solidifying their relationship with major retailers.